Reduce, Reuse and Rethink is a CBC News series about recycling. We’re exploring why our communities are at a turning point and exploring ways to recycle better. You can be part of the conversation by joining our Facebook group. Virginie Bussières jokingly refers to styrofoam as “public enemy No. 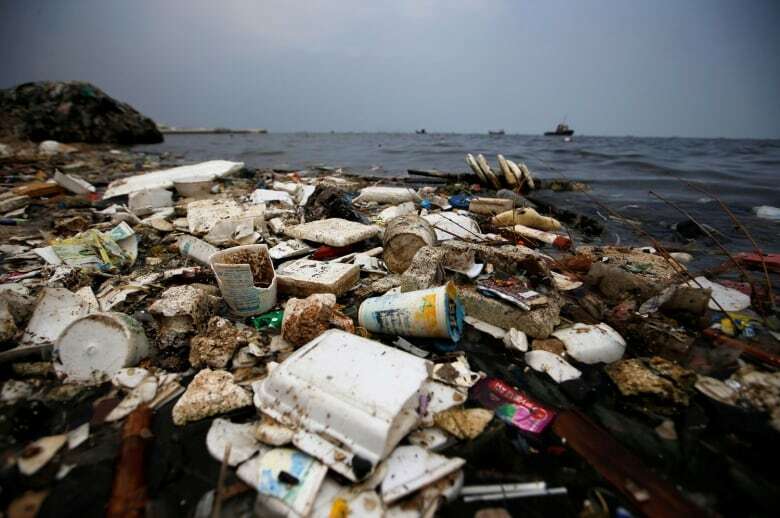 6.” That’s because the polystyrene takeout containers, electronics packaging, coolers and other products we discard each year are more likely to pollute waterways or get buried in landfills than they are to be recycled. (The No. 6 is a reference to the plastic’s identification number or resin code). And once in the environment, they can take decades or even centuries to break down. And they’re not the only ones. Montreal-based Polystyvert and Brantford, Ont., based GreenMantra have a similar vision, but different technological solutions. 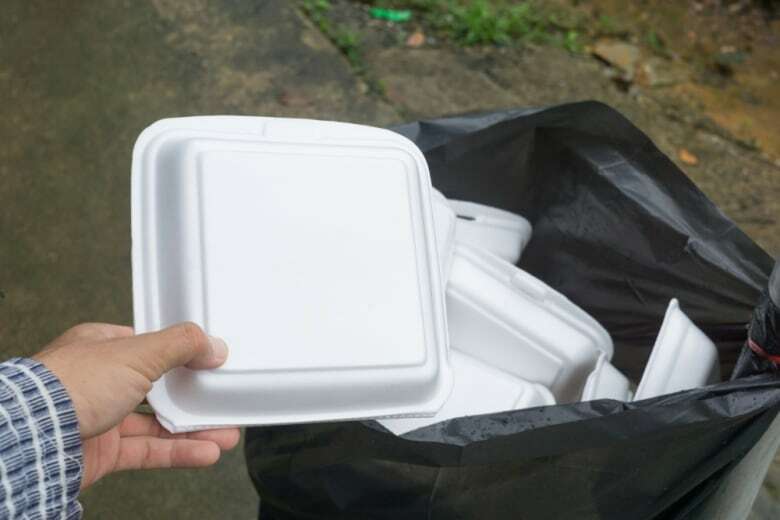 That’s because most communities don’t recycle it — just 35 per cent accept polystyrene in their recycling programs, according to the Canadian Plastics Industry Association. It’s even worse in the U.S., which recycled less than four per cent of its polystyrene containers and packaging in 2012, the Environmental Protection Agency reports. 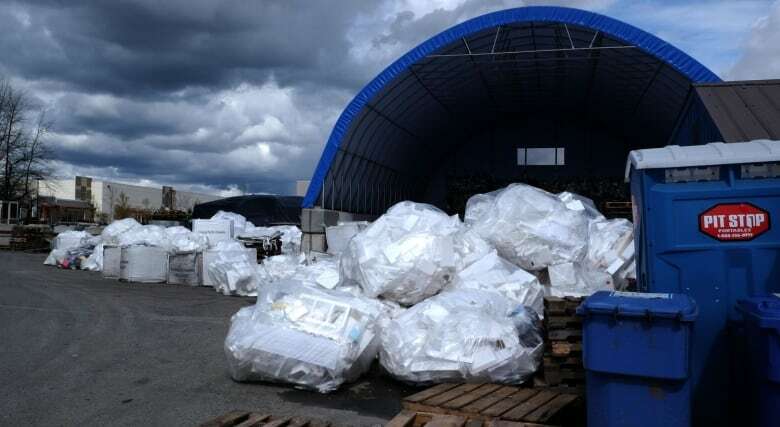 The main problem is it’s not cost-effective to collect a material that’s so bulky and light, and breaks apart so easily, contaminating other recyclables. And there aren’t a lot of buyers once it’s collected. Many jurisdictions, including the City of Toronto, have to effectively pay companies to take it. But the cost isn’t the only issue with traditional, “mechanical” recycling. After processing, it’s no longer expandable or foam-like. Instead, it gets turned into hard plastic for things like crown moldings, picture frames and park benches. That is, it can only be “recycled” once. That’s the difference with Pyrowave’s technology — it uses a “chemical recycling” process to take waste polystyrene and generate brand-new styrofoam. “All the contamination is taken away in the process,” Bussières added. That means the process can start with dirtier styrofoam than traditional recycling can handle, and generate new styrofoam with 100 per cent recycled content that’s identical to styrofoam made directly from petroleum. She added that it’s also the key to a so-called circular economy — based on resources being endlessly reused and recycled instead of extracted new and then landfilled at their end of life as they mostly are now. 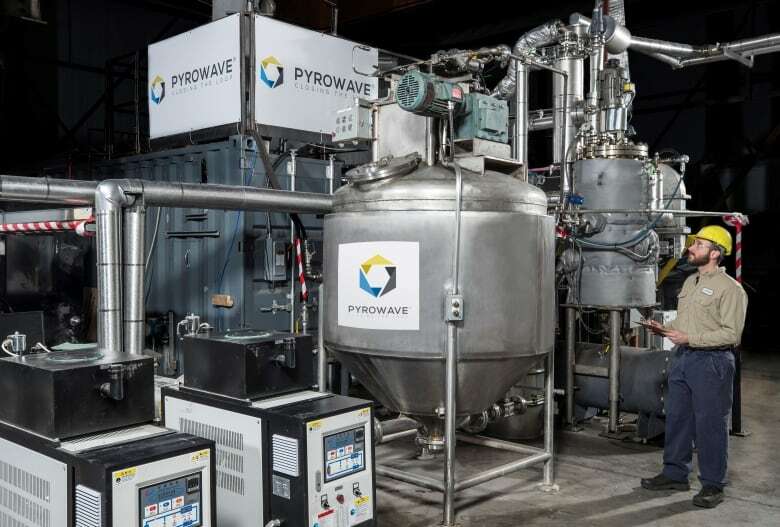 Pyrowave estimates its recycling process can produce polystyrene with a tenth of the energy and half the greenhouse gas emissions of polystyrene made directly from oil, and says it can sell its styrene at a price that’s competitive with “virgin” styrene produced from crude oil. “It’s a change of state,” said Solenne Brouard Gaillot, the company’s founder and CEO, who likened it to the transition between snow and water. “Without any end. That’s the point,” Brouard Gaillot said. 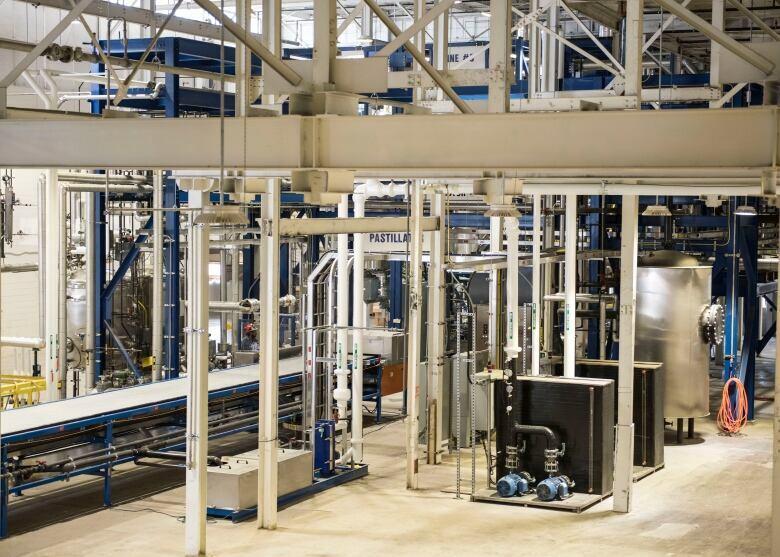 Because it doesn’t need to be chemically broken down into styrene and then reprocessed into polystyrene, Brouard Gaillot says Polystyvert’s process is cheaper and lower energy than Pyrowave’s. 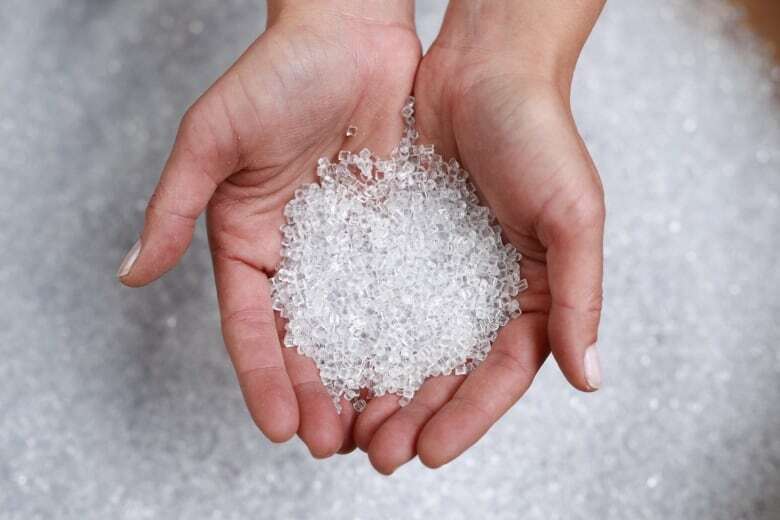 She added that the polystyrene pellets it produces are cheaper than “virgin” polystyrene made from oil, and that’s important because manufacturers aren’t willing to pay a premium for a “greener” product. But it, too, is trying to get food grade approval from Health Canada and USDA so it can make food containers. Jodie Morgan, CEO of Branftford, Ont.-based GreenMantra doesn’t think so. GreenMantra’s technology turns discarded styrofoam into something completely different. It’s a form of chemical recycling, like Polystyvert’s technology. But instead of breaking the styrofoam chains into their individual links, it only cuts them into smaller pieces. “Through using this molecule, we can create products that can have much more value than the original plastic,” Morgan said. Those include additives for inks and coatings for the printing industry that make them glossier, easier to print out and more durable. They replace similar additives made directly from fossil fuels, says Domenic di Mondo, GreenMantra’s vice-president of technology. Another of the company’s goals is to make it easier for styrofoam to be reused. Right now, that’s tricky because so many different kinds of styrofoam are collected for recycling together, and they’re hard to mix into a single product. GreenMantra’s additive could help them mix evenly so they can be turned into more products like insulation boards. Morgan likened it to the emulsifier in bottled salad dressing that keeps the oil and water from separating. “In part, why we’re doing that is to drive more collection,” Di Mondo explained. That’s welcome news for cities struggling to find a home for their waste styrofoam. Nadine Kerr, manager of processing and resource management at the City of Toronto, says that’s the city’s biggest styrofoam recycling challenge right now. At the moment, Pyrowave, Polystyvert and GreenMantra are operating on a relatively small scale as they take measurements and tweak their technology. Polystyvert, for one, says it’s getting more offers of free styrofoam waste than it can handle. “So there is some hope for this material,” she said. It found extracting the raw materials for polystyrene is “environmentally taxing” because they need to be distilled from crude oil. From that perspective, Hicks thinks it’s interesting that new styrofoam recycling technologies are displacing those raw ingredients. She added that it’s not a given that any given new recycling technology is better for the environment. Hicks’s study found that recycling reduced styrofoam’s environmental footprint, but reusing did even more.